Very useful for re-cording tent poles and a myriad of other applications. 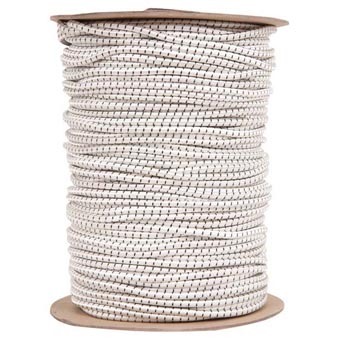 These cords are manufactured in the United States. All jacket covers are long-wear multifilament polypropylene or nylon and not the cotton-under-cover used by many foreign manufacturers to deceptively bulk-up their product.